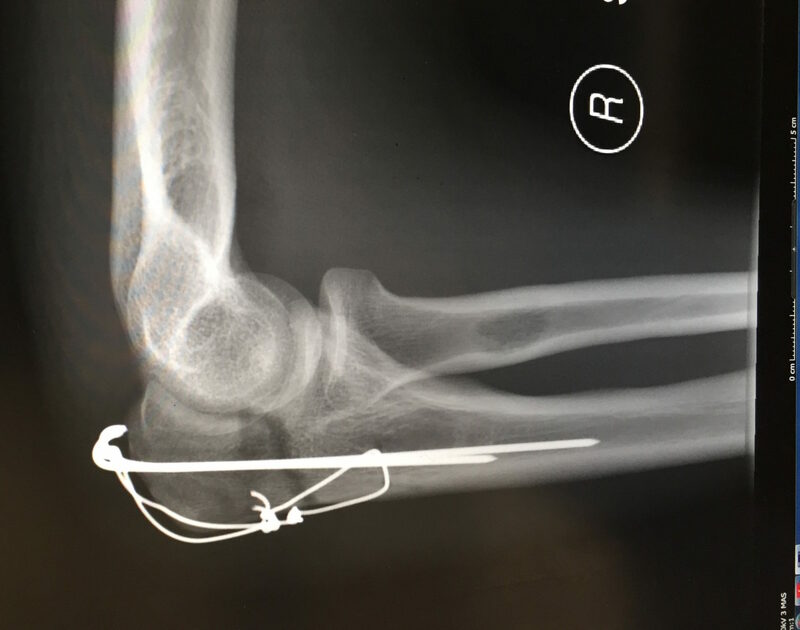 It’s been 5 months now since I crashed my bike, and fracturing my elbow, removing the end two inches of my olecranon. Physiotherapy and rehabilitation have gone very well, but for the occasional hiccups. As part of the recovery process, I have had an open appointment with the consultant in case of any problems – unfortunately I’ve now needed to use that card! The problem that I have been getting is a pain right in the tip of the elbow. Working as a GP mainly involves desk work, so your arms spend most of the day bent a 90deg, typing away at the patients notes. Occasionally you have to examine someone (stress on the occasionally 🙂 ) which depending on what the examination is, and the nature of the patient can be quite a physical task. At the start of the week, I had a niggle at the end of the elbow, which would be made worse, when stretching out the arm. Irritating, but not the end of the world. 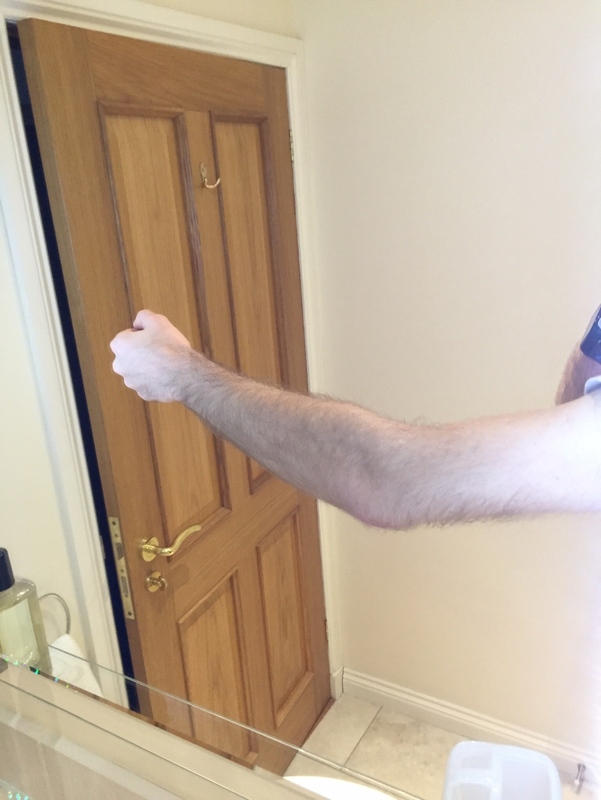 By mid-way through the week I was aware of my elbow with a constant dull ache in the arm and by the end of the week, things had come to the stage that I wasn’t happy to have my arm straight, and had found that I was actually holding the arm flexed for much of the time just to reduce the pain. To clarify, this isn’t a shout out level pain, just an annoying sharp spike. A little like constantly stubbing your toe every time I straightened the arm. 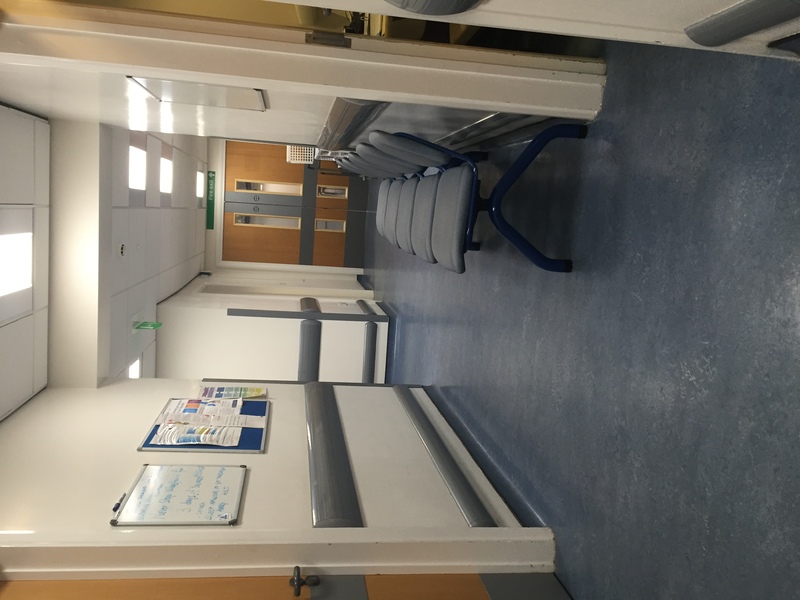 Now I was aware that the metal work would potentially move and was of the opinion that the rods had backed out very slightly from previous follow up appointment. Possibly as a result of this knowledge, the only way to describe the sensation I was getting when straightening the arm, was it was as if the muscle was catching on the rods metal hooks. I know this was not the case, but it certainly felt like it. One thing is for sure, by the end of the week, the elbow was looking slightly swollen. Not majorly, but the area where the metalwork had previously just been visible under the skin as a series of bumps, was now a soft, warm, and slightly fluctuant. Warmth and swelling is always a worry with metal work, is there an infection? I didn’t think this was likely to be the case, more likely that I’d been using the arm too much and caused an area of irritation. A swelling forms around metal work like this, and frankly any area of the body where there is continual friction or irritation and is referred to as a bursitis. With a bursa being a fluid-filled sac, normally associated with allowing smooth movement of a joint. However, if any of the approximately 150 buries in the body become irritated, they become painful and inflamed being termed a bursitis. The simple treatment for a bursitis is rest and anti-inflammatories, such as ibuprofen, which I tried for a week, thankfully things settled down over the following week. To say that things settled down is probably the wrong turn of phrase, as I was finding that the only way of really keeping things under control, was to try and not put too much stress on my elbow. 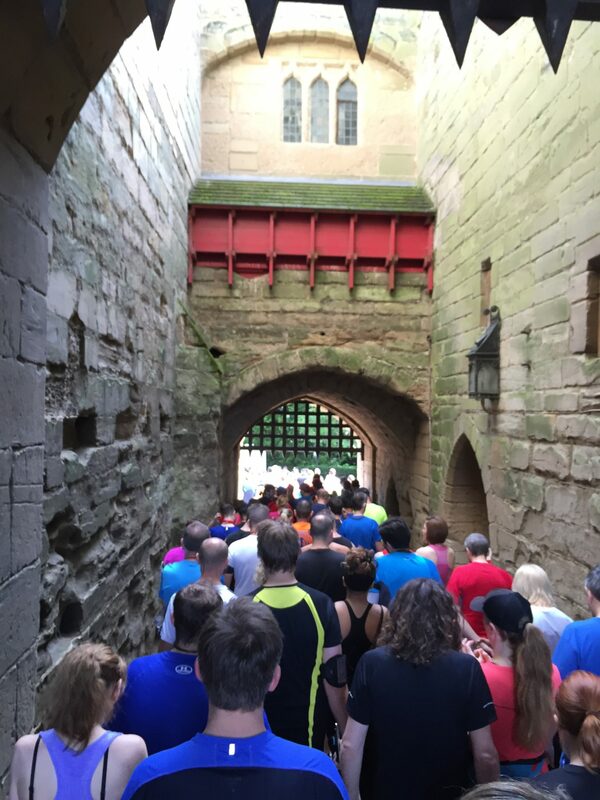 Two Castles Race – 7.7% gradients! 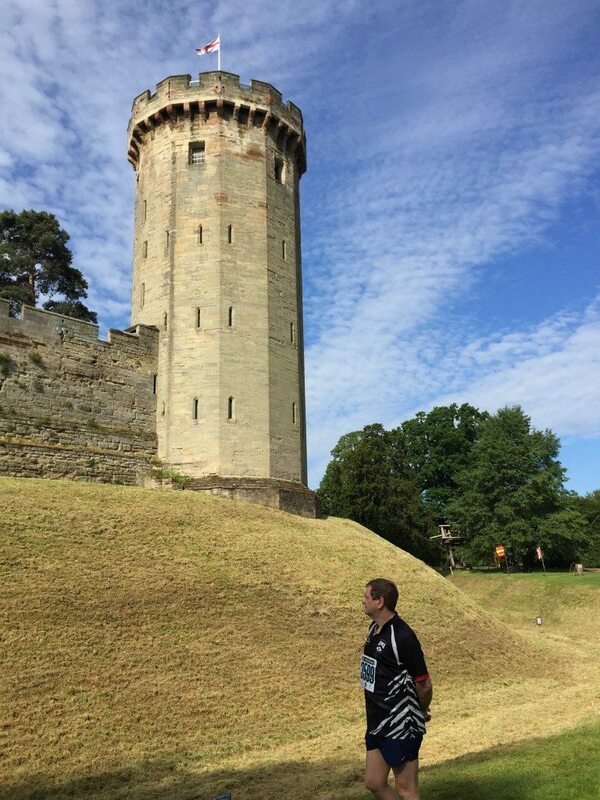 In spite of the route, I pulled in a respectable 43:08 minutes, and crucially had no issues with the arm. The X-rays both initially look the same, however, you can see that the rods have come backwards about 2 cm, compared to the original, hence the irritation and swelling. The extended position explains why my arm hurts when I try to straighten it, and why it doesn’t extend as far as it did a couple of months ago. The extend metal work now nearly touches the bone of my upper arm, the humerus, squashing the triceps muscle when it does, causing pain. The good part, however, is that the fracture lines, are filling in slowly, but effectively. The orange arrows on the bottom film point to wavy lines across the joint fracture. This is new strong lamella bone, which as it matures, will become hardened and strong cortical bone. As it does so, the fracture lines will disappear. 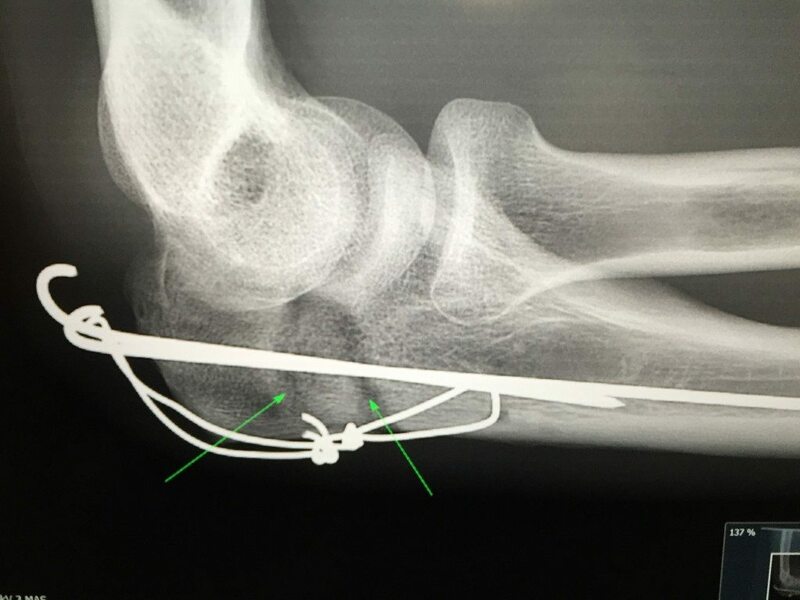 After looking at the X-rays, the consultant felt that the metal work was serving its purpose well, and supporting the fracture. But at the same time, that very metal work was beginning to cause me problems. A decision had to be made between leaving it in, to support the fracture, and taking it out to allow me to use the arm and regain full function. The crucial bit of the decision is that the longer the metalwork stays in the better it is for the fracture. 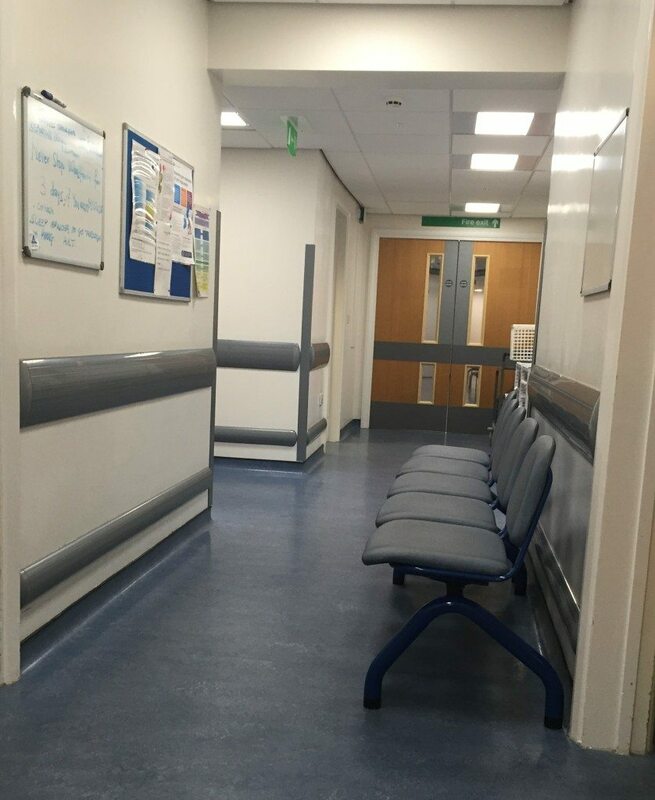 A decision was that because the metal work was now beginning to interfere with life, it would be removed, BUT with the understanding that after the rods are removed, I am benched completely for a further 4 weeks. No running, no cycling, nothing that would increase the chance of me hurting the arm. Not even swimming for 2-3 weeks. I would, however, be able to continue turbo training on my bike and the KICKR in the house – small mercies! The reason for being benched isn’t just because of the fracture. The rods have been holding my break together but also acting to conduct forces around and through the fracture in specific directions – hence the wires at the bottom of the X-ray film. By removing the metal, the forces will again pass straight through the olecranon and crucially through the fracture. Its unlikely, but a good fall, or truly excessive force, could pull the fracture open again – so also no gym work for at least 4 weeks. The other issue is, where the rods and been, there will now be holes. These holes in the bone will take time to fill in, and whilst that is happening, if I were to fall, or give the arm a really good knock, I could potentially fracture my arm at these holes. Giving a new fracture site. So all in all, I have to be really careful during the first 4 weeks post op! Once the decision to have the olecranon fracture metal removal was taken, I was scheduled for theatre. Once that task is done, you wait for a pre-op assessment. This is basically to make sure you haven’t contracted the plague since you were last seen, and double check you’ve not got any medical nasties, which might surprise the surgeon. There are relatively few absolute contraindications for surgery, especially with a brave/skilled surgeon (delete as applicable), but having the heads up beforehand allows them to plan around any issues. I’ve booked up the remainder of this years holiday to sit on the couch and nurse my arm once the metal is out. However as I won’t be physically working, I need something to occupy my mind, so I’ve several gadgets and items sitting on the table that I’ll hopefully be reviewing and writing up during that time, so stay tuned!